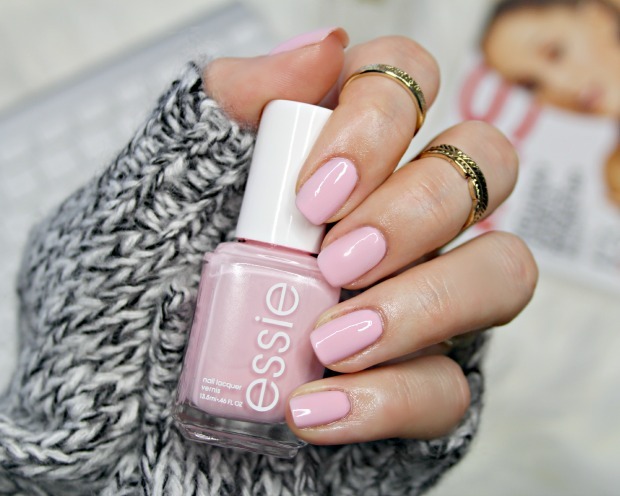 For someone who isn’t a huge pink lover, I’m pretty crazy about “Muchi, muchi” by Essie. 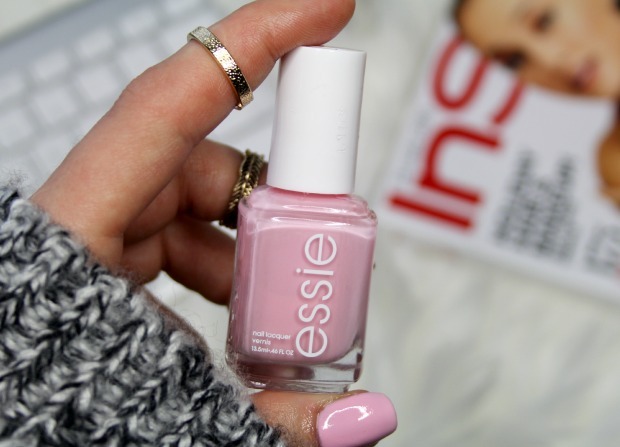 Essie’s “Muchi, muchi” could definitely be related to widely popular “Fiji“, also by Essie. As beautiful as “Fiji” is, “Muchi, muchi” is much, much easier to work with. Even and smooth application, no streaks or bubbles and a gorgeous, glossy finish. What you’re seeing on my nails here are three coats. Yes, three. Add a top and base coat and that’s five all-together. Usually I prefer to only wear one to two coats (this makes the polish last a lot longer), but “Muchi, muchi” is pretty shear and I really like an opaque finish. Because of how sheer it is, “Muchi, muchi” is a perfect color to wear on daily basis (it looks gorgeous even with one, subtle coat). I think that it would look especially pretty when paired with a simple, classic French mani. It’s a creamy, luscious, baby-pink color with slight mauve undertones. If you’re looking for a perfect, bubblegum-pink, “Muchi, muchi” is it! Previous Post Are you on Pinterest?